Each new year just as millions of people do, I reflect on the prior year and what were my best and worst moments. Looking back at 2011, I have decided that the worst moment of my year was on April 16th just after midnight when I discovered my mothers’ lifeless body. Death of a loved one is tragic but death of a parent is life shifting. My mother and I were very close and spoke each day always making sure we let the other know that they were loved. Everyday since her death, I have reached for the phone or thought about moments I wanted to share with her; it still hurts my heart to have her gone but day by day I am less sorrowful. There were other negative moments but that is at the top of the list with the death of my grandmother six weeks after my mother’s is a close second. Knowing that I was loved allows me to make it through each day. I miss my mother terribly but my belief in God and an afterlife allows me to take comfort in the fact that she is in a better place. There are a number of positive and uplifting moments that occurred for me in 2011; however, the one thing that stands out is getting published for a second time. Being published in the anthology ‘Home Is Where: An Anthology of African American Poetry from the Carolinas’ edited by Dr. Kwame Dawes and published by Hub City Press is way at the top of my list. Attending a Prince concert and seeing George Clinton and the Parliament Funkadelics is up near the top as well. In addition, finding gainful employment even if not in the field of writing is an up for 2011. There are other items like maintaining a strong marriage with my husband of 19 years and having the love of family and friends during difficult times. When I think about it receiving the love of others is definitely near the top of my positives for the year. As for the coming year, I am looking forward to being an active volunteer in the 2012 Presidential campaign as well as doing more writing for blogs and working on my poetry book. I know from events in 2011 that life is filled with many unexpected situations but there is truth in the statement “what doesn’t kill you, makes you stronger”. I have decided to not resolve to do anything overly dramatic, since last years resolutions of practicing my guitar and brushing up on French both fizzled out in early February. I am remembering that I’m human and I make mistakes but it doesn’t require a new year to make life changes. Each day we awaken is a new day ahead of us ready with new challenges and triumphs. So my primary future hope for 2012 is to always strive to be a little better each and every day. PaisleyPerspective wishes you and yours a very Happy New Year filled with peace and abundant blessings. 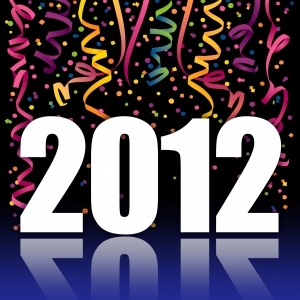 Stay tuned for the 2012 monthly themes that will be listed on the About page.